Designed for today's eco friendly boater who doesn't want to substitute quality for cost. 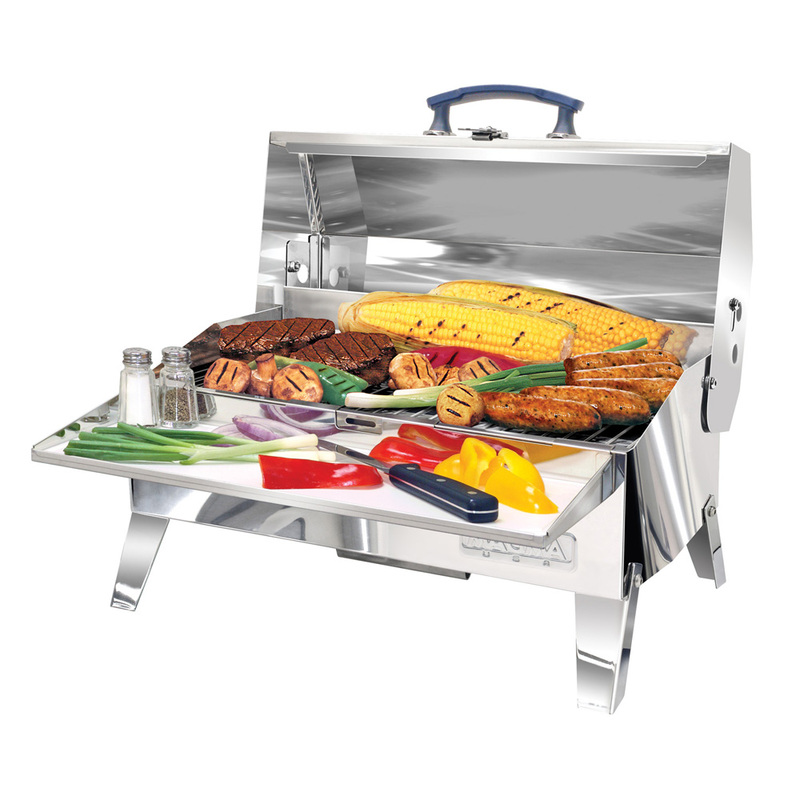 The "Cabo" is a charcoal grill made entirely of 18-9 mirror polished marine grade stainless steel. Designed with the same quality you've come to expect from all Magma Products, this grill has a 9" x 18" or 162 sq. in. grilling surface, and features a stay-cool plastic handle, locking grease tray, and fold-away legs. Model uses single mount mounting hardware only.